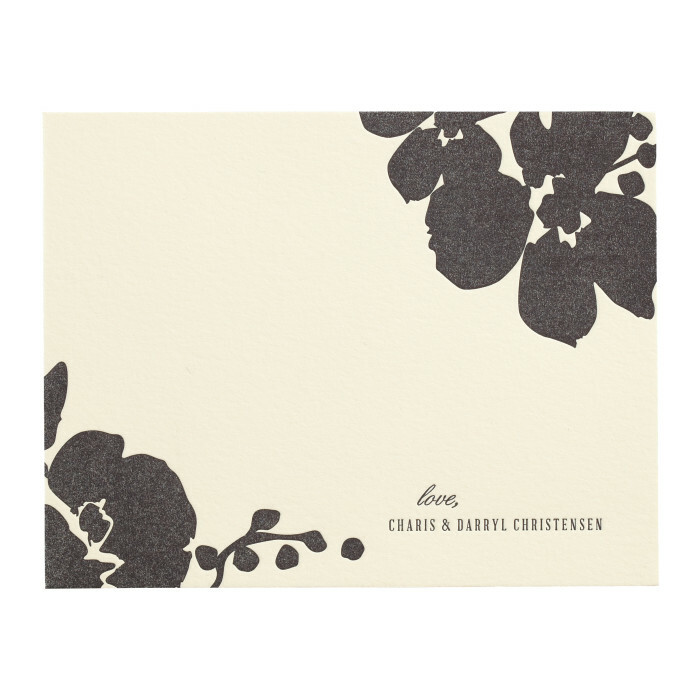 Featuring an asymmetrical floral motif, this modernist thank you card is elegant and simple. With a pre-printed closing signature, the design is versatile and can be used as a Thank You Card or as personalized stationery. The piece is one-color letterpress printed single-sided on luxuriously thick cotton cover stock with a textured tactility. $976 for 100 two-color letterpress printed, or $709 for 100 one-color letterpress printed, or $484 for 100 flat printed Thank You Cards and matching matte colored Envelopes.